This risotto recipe will turn out perfectly. The recipe makes a flavorful side dish that the whole family will love. You will definitely make this risotto again. You can also make variations of the same by adding pan fried mushrooms, peas or seafood. This recipe requires 1 hour of active preparation. The risotto needs to be stirred frequently. In a medium saucepan, bring the broth to a simmer over medium high heat. Reduce the heat so the broth stops simmering but continues steaming. In a medium pot, heat the oil over medium low heat. Then add the shallots and cook stirring occasionally until the shallots soften, approximately 2 minutes. Next add the garlic and cook for 30 seconds. After add the rice and salt stirring in with the shallots and garlic. Then transfer ½ cup of the hot broth into the rice and cook stirring frequently until the broth is absorbed. 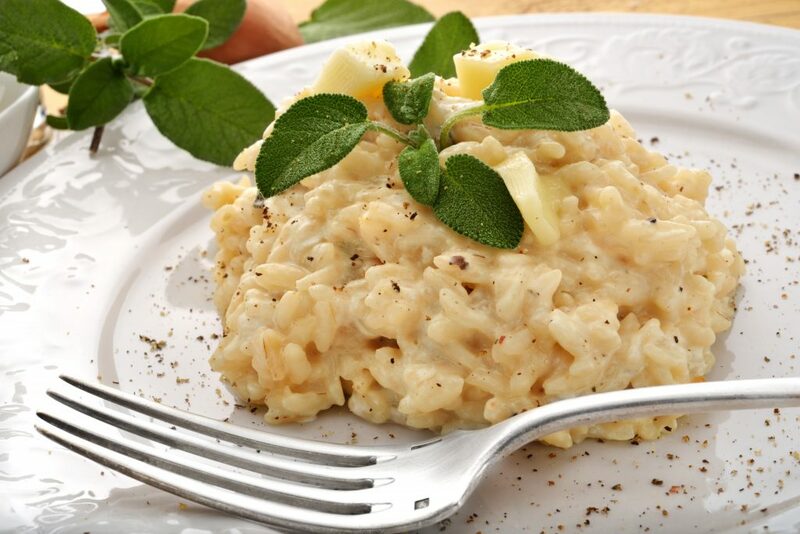 Continue until you use up all the broth, the risotto will be creamy and tender when its done, about 25 to 35 minutes in total. Sprinkle with the remaining cheese when serving.